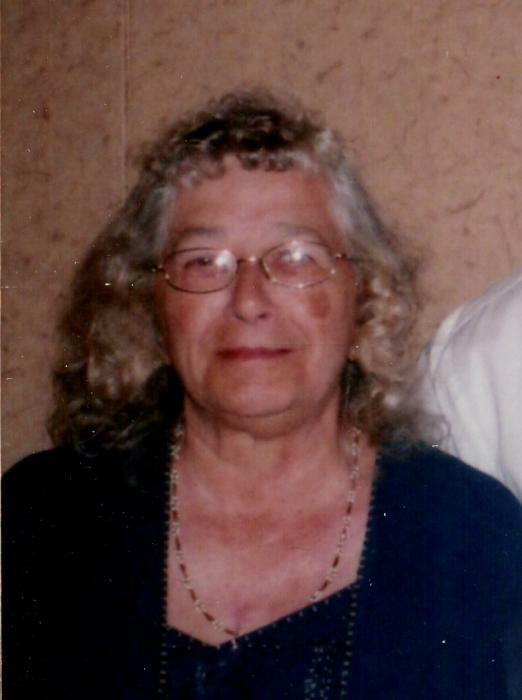 Betty E. Durkey age 84 of the Town of Grant, Shawano County passed away Monday morning, April 15, 2019 at Shawano Health Services. Betty Elaine Dey was born in Clintonville on April 11, 1935 as the daughter of the late Reinold and Ada (Kratzke) Dey. She graduated from Clintonville High School and was united in marriage to Herman Durkey at St. Martin Lutheran Church in Clintonville on June 12, 1954. The couple moved to Cecil and later to Marion where they were members of St. John’s Lutheran Church. They then moved to the Town of Grant, Shawano County where they have resided since. Betty worked part time as a potato grader at Zdroik Farms near Steven’s Point as well as Helbach Farms with Herman and their daughter Janice. She looked forward to spending time outdoors with her family hunting, fishing, camping, and making maple syrup. Betty also helped Herman make and hand paint lawn ornaments. She served as past Group Leader and Project Leader for the McKinley 4-H. In her spare time she enjoyed knitting, sewing, crocheting, and gardening. Betty will be remembered by those closest to her as a caring and loving wife, mother, grandmother, great-grandmother and friend. Survivors include: Her husband: Herman. Children: Janice (Jack) Soik, Joyce (Bruce) Natzke, Allen (Miriam) Durkey, Barbara (Randy) Buss, Carl (Karen) Durkey, & Phyllis (Jason Meyer) Brandenburg. Grandchildren: Ann (James) Lyshik, Christine (Jason) Milanowski, John (Crystal) Natzke, Tim (Katie) Natzke, Brenda (Andy Gray) Natzke, Holly (Dennis) Lehman, Heather Durkey, Carolyn Buss, Christopher Buss, Kailey (Lucas Tice) Brandenburg, & Kaitlyn Durkey. Great-Grandchildren: Brock, Anissa, Hunter, Dominic, Zachary, Addison, Ethan, Roselyn, Kayson, Ella, & Jolene. Brothers: LeRoy Dey & Ron (Jackie) Dey. Also numerous other nieces, nephews, and other relatives. Betty was preceded in death by her parents, brothers; Robert (Gladys) Dey, Carson (Lucy) Dey, Billy (Carolina) Dey, and in-laws: Sharon Dey, Ernst (Eldora) Krueger, & Lloyd Helms.